What about the face of Michael we didn't like. Rev. Al Sharpton had it right. Michael Jackson wasn't strange. Prior to the death of Michael Jackson, you rarely heard any Michael Jackson songs on the radio. One of the albums that deserved more air play was Invincible, released in 2001. My favorite tracks from the album are "Butterflies" written by Marsha Ambrose from Floetry, "Break of Dawn", and "You Rock My World" featuring an intro by Chris Tucker. Kudos to 96.3 WHUR in Washington, DC. They were really the only station that gave those tracks any significant airplay. 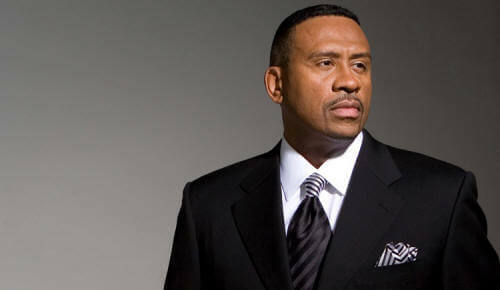 For the most part Black radio and mainstream media in America abandoned Mike. 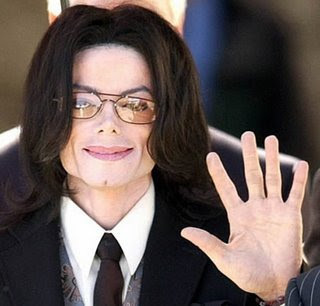 Overall, Michael became less popular in this country the last ten years of his life, while he continued to maintain popularity around the world. Americans generally thought he was weird. Some may say because he began whitening his skin, the African American community stopped buying his records and supporting him. Or maybe it was the accusations of child molestation that caused his popularity to suffer. One thing for sure, if you don't get radio airplay or video plays it's hard to get record sales. Maybe corporate radio followed the dictates of the record companies and simply stopped giving his records spins. At the time of the release of "Invincible", if you recall, Michael accused Sony Records and its president Tommy Mattola of racism, think about that for a second, and said he was a devil, because they did not promote the album. He even called on Rev. Al Sharpton to set up a protest and demonstrations at Sony Records in New York. So I ask, what's a recording artist to do to keep themselves popular in the world of entertainment. You do what you deem as necessary. In recent years, we've heard stories of Michael trying to recapture his American audience. We've heard he was seeking advice from everyone from Prince to T.I. Many in the U.S. look at Michael Jackson as wacky because of the many plastic surgeries he had and of the skin whitening. More specially, African Americans perceived the changes in his features as self-hatred. In this country, skin color is such a politically and socially charged issue we expect the world to take it as serious as Americans do. But that's simply not the case. Michael took a look outside of the United States of America and began to play to a global audience, a world stage if you will. Not to suggest that a "whiter" apearance was Michael's ultimate plan, but let's be real, it didn't hurt. After the success of the "Thriller" album, the world was ready for more of Michael Jackson. He was determined to become the greatest entertainer the world had ever seen. 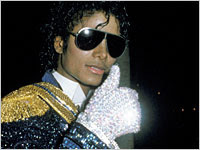 While Michael's skin condition worsened, he hid it with dark glasses and sparkling military attire which included his infamous glove. The quirkiness of his personality became more apparent and his inability to maintain a private life disappeared. Michael did suffer from the skin condition vitiligo. He also used make-up, bleaching and chemical treatments to even out the absence of skin color on portions of his body. Besides who in the entertainment industry hasn't had plastic surgery that sometimes has gone wrong. By the time the "Bad" album was released, Michael Jackson was definitely different. He was playing to a world audience now. U.S. record sales were only a small piece of the pie. World wide concerts were on the horizon. Michael, a Black man, who was losing his color, had gone global and we didn't understand. He was just "weird Mike." We've seen the videos from countless countries in Europe and Asia, where thousands of people were in near hysteria over his mere presence. We sit back in this country, in amazement at the adoration of these fans. But we must realize, Europeans and Asians are not Americans. We may share music, but cultures around the world are unique and different. Michael made himself relevant on a global scale. Michael was a genius. What we saw as strange, the rest of the world embraced. Case in point is the world's fascination with white skin. One aspect about Michael's life that was seen as controversial to Americans especially people like Bill O'Reilly. We in this country would be horrified by seeing skin bleaching commercials. But the rest of the world, even in parts of Africa, sees this as normal. We would never see or hear these commercials on radio or TV in America. Obviously, "Say it Loud, I'm Black and I'm Proud" still hasn't reached most of the world. So let's be clear, it was not appearance, it was talent nurtured in the tradition of African American soul music from singers like Jackie Wilson and James Brown and nothing else, that caused Michael's star to soar. Which makes him not only a Black icon, but the quintessential World Superstar. Michael Jackson was built to entertain. What a sacrifice he made to entertain. A sacrifice that included his childhood. So I don't judge Michael Jackson for the choices he made in his life when compared to the humanitarian contributions he made to this world. In death, maybe we need to think differently or have another perspective about Michael, as Berry Gordy so eloquently put it at the memorial service on Tuesday; he was more than the King of Pop, he was the greatest entertainer the world has ever known. He was brilliant. For that Michael Jackson paid a price we may never understand.